Have you ever looked around your kitchen and realized that you're tired of it? The cabinets are boring, the paint on the walls is peeling and the entire room is in desperate need of a makeover. But who wants to fork over the money for a complete kitchen remodel? What if you could completely change the look of your kitchen without borrowing from your kid's college fund? Surprisingly enough, it's entirely possible. Instead of going all out to change every inch of your kitchen, all you need to do is apply a little color in certain areas. This might sound like a simplistic suggestion, but painting your cabinets can completely transform your kitchen. 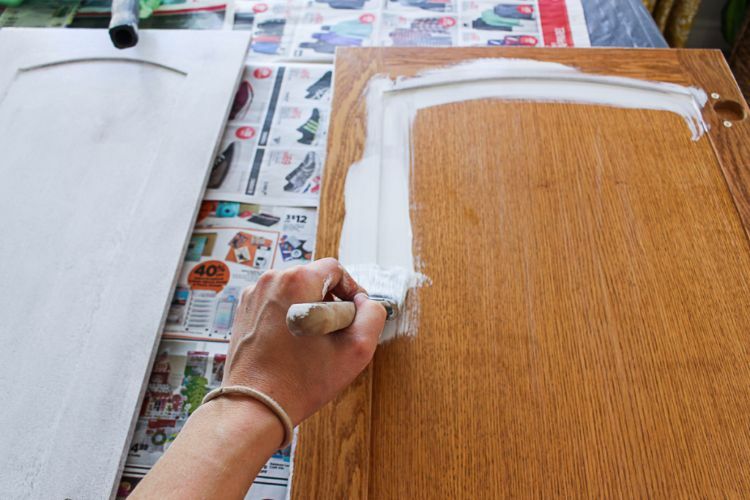 In this step-by-step tutorial you can learn exactly how to prep, remove, clean, sand, prime and paint your cabinets. 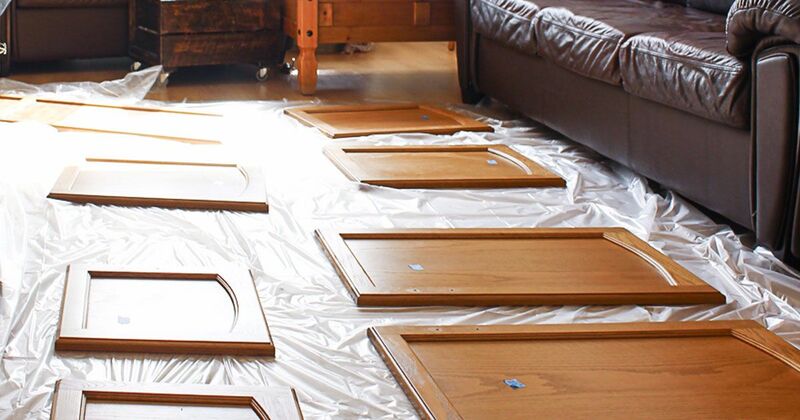 Though this might take awhile (depending on how many cabinets you have), the end result will be well worth the time and effort. If you're not sure you can handle painting all of your cabinets, you can cut the work in half by painting only the lower cabinets. 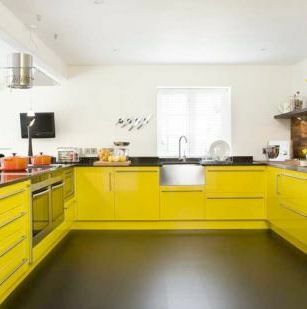 This will give your kitchen a two-toned look that will attract attention to the two levels separately. Most people who opt to try this use a bolder color for the lower cabinets than they have on the upper ones. 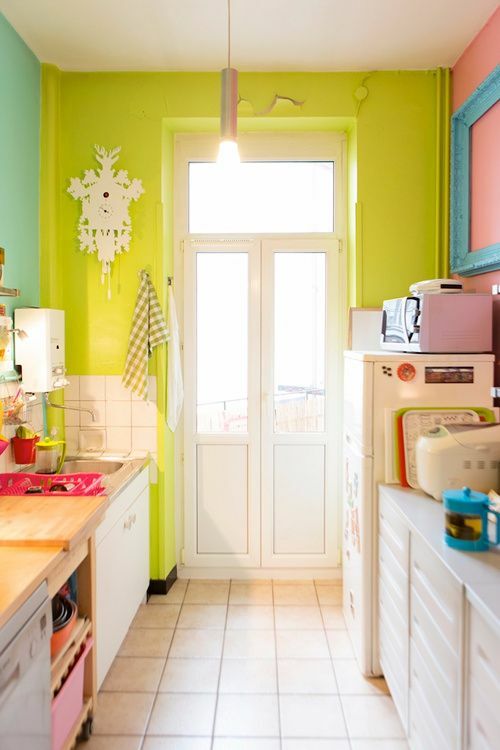 Do you want to add a pop of color to your kitchen but aren't confident enough to commit to changing the color scheme of the walls or cabinets? 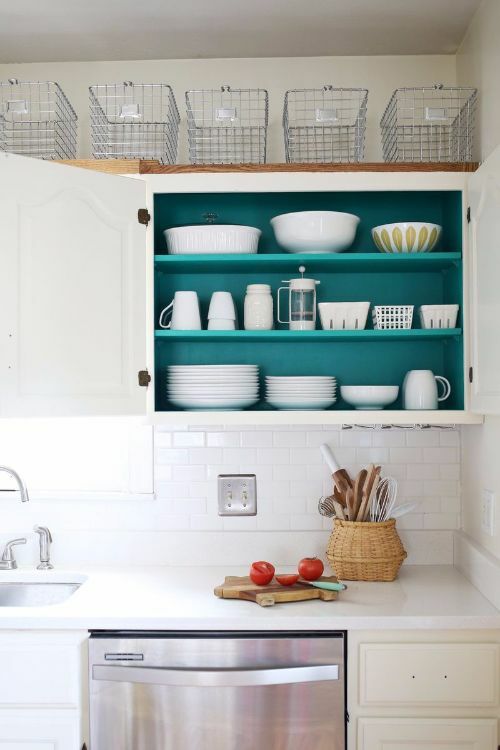 Try painting the insides of your cabinets instead. It will be a subtle detail that emerges only when someone opens a cabinet. 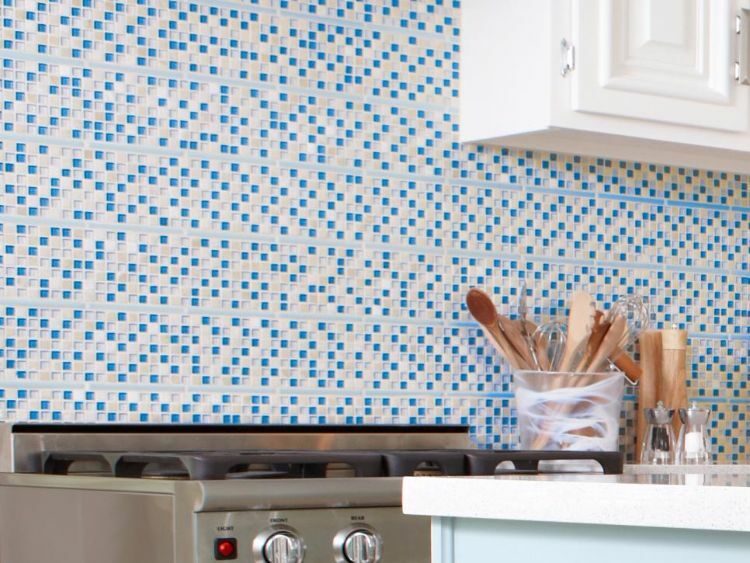 If you want don't want to do any painting but need a way to tie together your color scheme, a matching backsplash might be just what you need. You can design your own or use ready-made pieces to create a backsplash that includes all the colors of your kitchen without being overwhelming in its design. 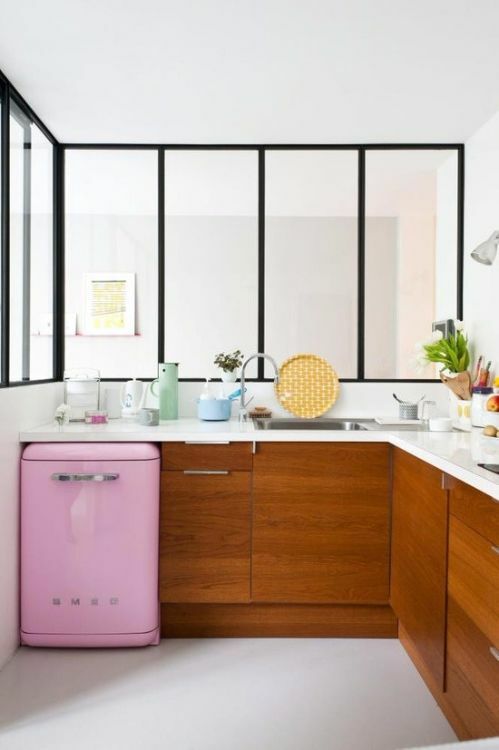 Are you willing to take risks when it comes to your kitchen color? If so, then you should definitely consider replacing your plain old countertop with one more eye-catching. 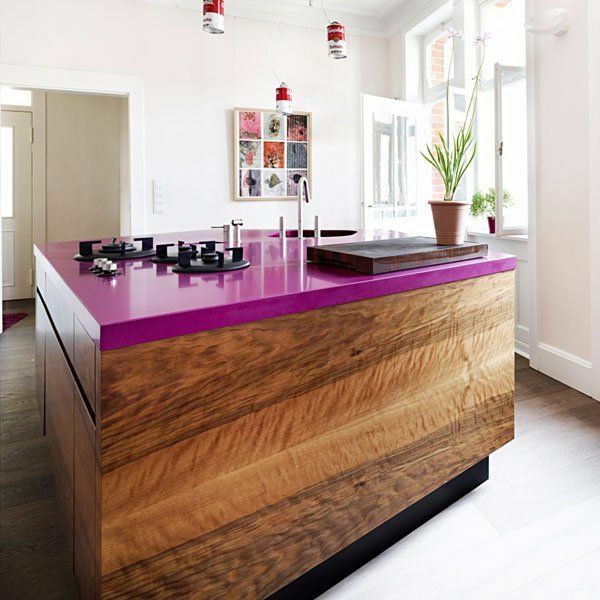 Depending on the material you want for your counters, you can get almost any color, even bright purple. Just exercise a bit of caution, though, so you don't end up with orange Brady Bunch countertops. 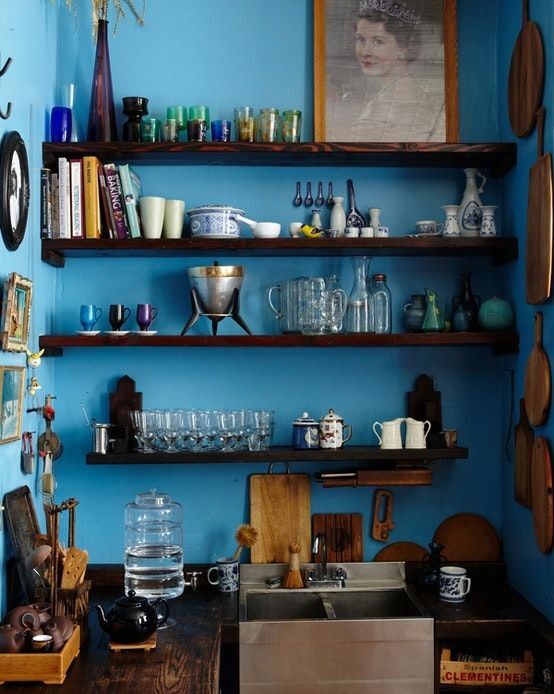 If you have open shelves above your counters instead of cabinets, you'll have way more wall space to paint. 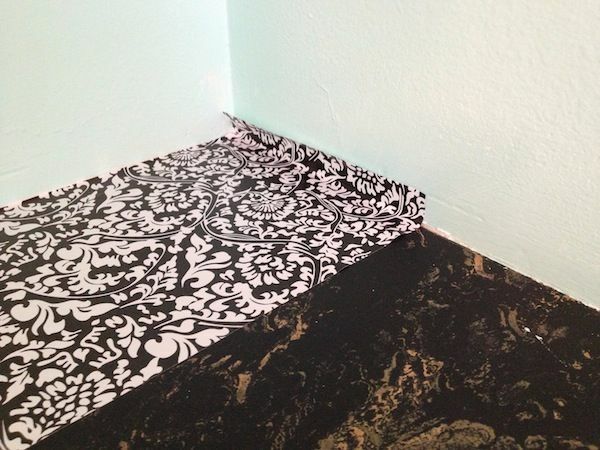 For this project, you'll have to decide how dark or light you want to paint the walls. Before you choose a paint color, make sure to take into account the colors of everything else in the room so nothing clashes and the color scheme isn't too visually overwhelming. Most people don't think about the floor or ceiling when it comes to a color makeover, but they can be the perfect places for some paint updating. You can be as bold or as subtle as you want with paint in these areas, simply because they aren't as frequently noticed. So you're truly free to do whatever you want with them. One of the more expensive ways to add some color to your kitchen is to purchase new appliances. But instead of just buying the standard white, stainless steel or black appliances that everyone else gets, see if you can track down some appliances with a little more pizzazz to them. If brand new appliances aren't in your budget, though, you can still bring more color into the room with colorful utensils and other small kitchen necessities. If you're determined to change every inch of your kitchen, why not try a combination of all of the ideas listed above? You can paint all of your cabinets, install colorful backsplash and countertops, paint the walls and invest in some colorful cookware. 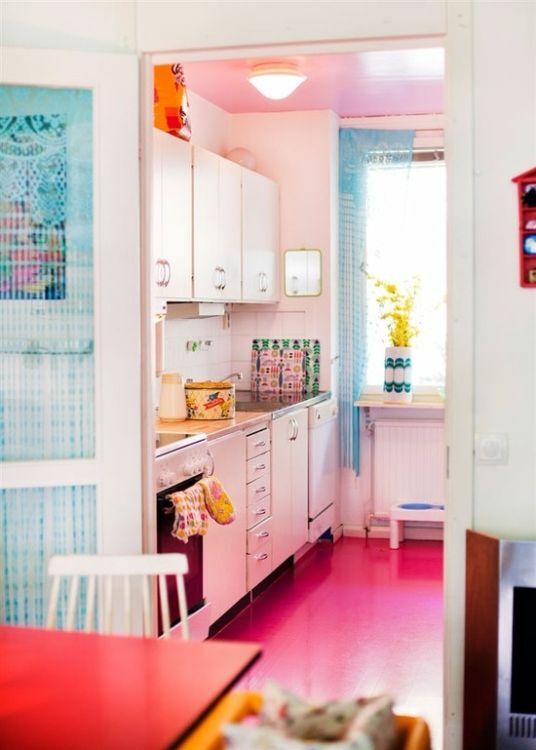 There are so many ways to make your kitchen a less drab, more colorful room--you just have to pick what best suits your house. And make sure you share this list with your friends on Facebook so they, too, can get to work updating their kitchens!